All are welcome to enter an intentional time of prayer, song, silence and scripture ~ worshiping in the style of Taize. Come as you are. 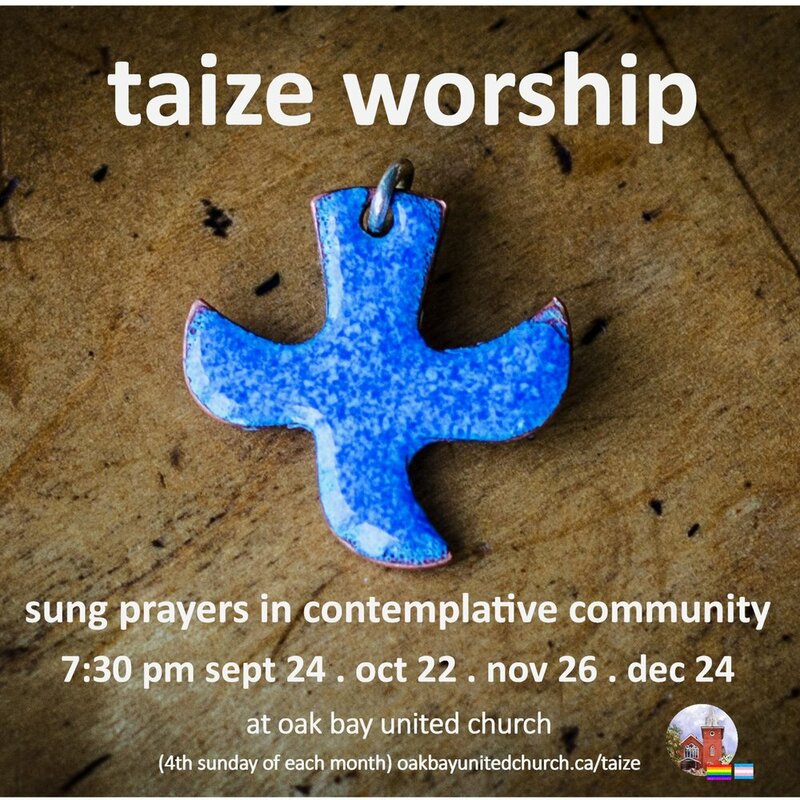 Taize Worship at Oak Bay United is lead by congregation members and Amy Van Wensem, Music Minister, on the 4th Sunday of each month (Jan 28, Feb 25, Mar 25, Apr 22, May 27, June 24, 2018), held in the beautiful Oak Bay United Church sanctuary. Taize is a monastaic community in the village of Taize, France. It's a brotherhood committed to practices of peace and community, who created it's own unique flavour of prayerful music, expressing a global commitment to peace. Learn more about Taize here on their website.